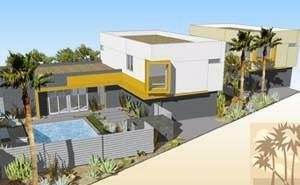 New Homes Being Bought in the Desert, from Palm Springs to Indio! The snowbirds are back and buying up real estate, since everyone loves a good deal. 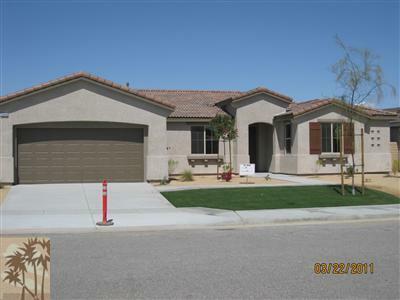 From Palm Springs to Indio, there are not only great deals as in short sales and foreclosures but resales and new homes are often priced just as competitively by their sellers. For example, the picture above is The Morrison, which is now selling like hotcakes, 6 today alone! These brand new contemporary homes consist of three bedrooms and three bathrooms, approximately 2100 square feet, with high end fixtures and appliances included. The price range is from the mid $400s to the mid $500s. Close to the action of downtown Palm Springs, where no other place in the desert matches the nightlife! On the other side of the valley, east Coachella Valley, there is Indio, one of the oldest desert communities, but which has experienced incredible growth over the last decade. Indio is home to two world class polo clubs, world class music festivals including Coachella and Stagecoach, many restaurants, shopping malls, and all surrounded by breathtaking mountain views and towering palm trees. One example of a fabulous value for home buyers is Whittier Ranch, a brand new home development with Tuscan and Spanish-style single family homes from 1674 to 2335 square feet of living space, starting in the low $200s. There are only 9 left now, and if you buy now, Whittier Ranch is paying for your closing costs and offering to give you a 46″ flat screen TV! Right now, qualifying FHA buyers can get a 30 year fixed rate loan under 4% and with only $8047 down, you can own this home for less than $1300 per month! Clearly, now is a fantastic time to invest in real estate. I am even working with investors who are buying fixers and fixing them, and flipping them, again! If you have the cash, and cash is king, real estate is a tangible investment, and although there is always an element of risk in any financial investment, at these prices, I think it makes sense to invest in real estate today, provided you have a seasoned realtor such as myself to help you do the due diligence required to assure you that the particular property you are thinking about buying will be a smart investment. This applies also to those who will be needing a loan to purchase real estate.